Valentine’s Day is the perfect time of year to show others how much you care about them. What better way to do so than spending some time making them a little token of your affection? A great life lesson to instil in your little ones. These Valentine’s Day crafts are perfect for school pals, loved ones or just for fun – and they wont break the bank! These darling little rocks have become something of a trend, and for a heart warming reason. Read this for the full story on how they originated. All you need is some found stones, small hearts cut out of extra fabric and some podge. Once they’ve dried, the idea is you place them in public places for others to find, adding a little ray of sunshine to their day. You could also print classmates’ names on the opposite side with a gold Sharpie instead of a Valentine’s Day card. Send your kiddos to school dressed for the occasion with these fun headbands. 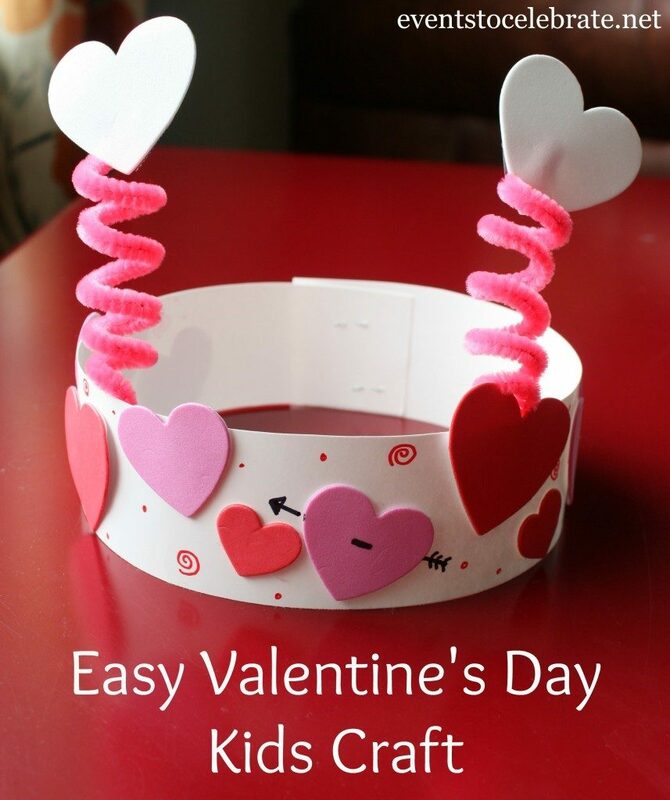 All you need is some cardstock or Bristol board for the headband, hearts cut out of foam and two pipe cleaners. Create these unique Valentine’s while teaching your kids an eco-friendly lesson about how to make something new out of some old. Chop up some old crayons, pop them into heart shaped silicone chocolate molds, and bake. The result is a new heart shaped crayon. This can also be modified other holidays like Halloween and Christmas. 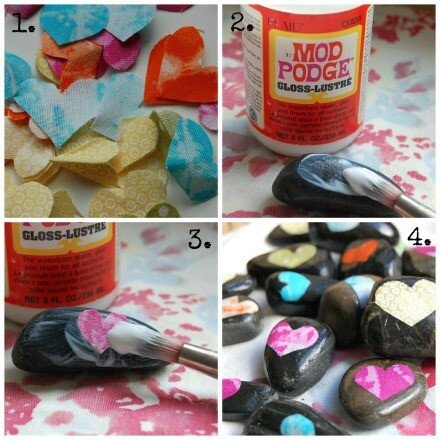 This is the PERFECT low-mess, cuteness overload Valentine’s Day craft. All you need is heart shaped cardboard cut outs, yarn, tape and scissors. Wrap yarn tightly around the cardboard heart, create a loop at the top and voila. 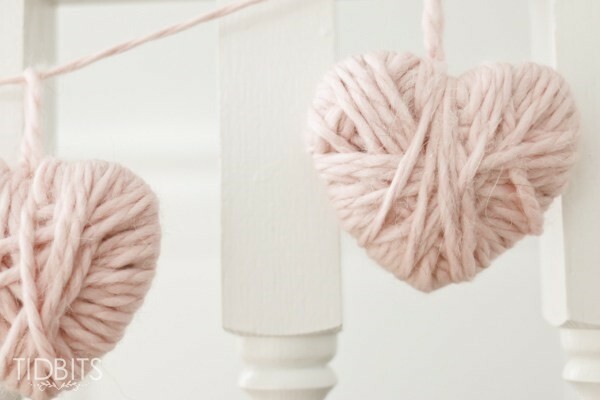 String multiple yarn hearts together to create an adorable garland. Is your little one too young for crafting on their own? If you’re up for a little messy fun, pour some paint on a plate and use those little tootsies as stamps to create personalize Valentine’s Day cards for loved ones. 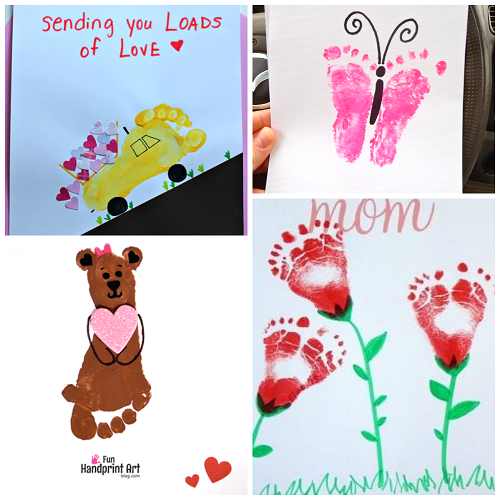 What are your favourite Valentine’s Day crafts to do with your kids? Have you tried any of these? Let us know in the comments!